Drenched in nostalgia this crazy smartphone smells of mobiles past. There's nothing more satisfying then dramatically ending a phone call, but today's smartphones have robbed us of that joy. Thankfully LG has the Wine Smart, allowing you to snap your phone closed to sign off like a badass. 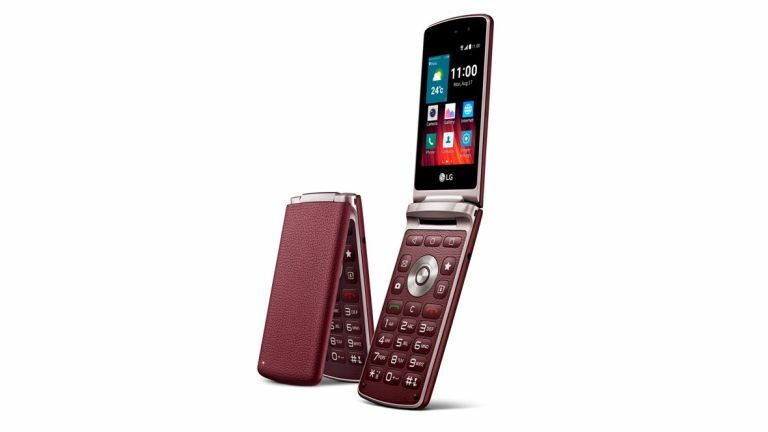 Yes, the flip phone is back and the Wine Smart has been given a modern day boost with Android Lollipop and touchscreen display. That said, the touchscreen is only 3.2 inches, so it's not something you'll be wanting to watch videos on. Internal storage is also at a paltry 4GB, although you do get a microSD slot, but have we mentioned that it FLIPS OPEN AND CLOSED? Wondering why it's called the 'Wine Smart'? Well so are we, but it comes in navy and... wait for it... burgundy. Ha! Good one. That's also a type of wine. Lol lol lol. The VGA - 3MP front and rear camera combos aren't going to capture you and your friends in the best light, but remember this is a clamshell. Imagine how boss you're going to look ending a call. Under the hood a quad-core processor and 1GB of RAM are running the Lollipop show, and slip this 16.6mm thick beast into the pocket of your skinny jeans and watch jaws drop as you strut down the street. "Is that a phone in your pocket?" people will ask. "Yes" you'll say. It's the dream. It's not the best phone on the market, not by a long shot, but I sure as hell want one and the best news of all is it's coming to the UK. The release date and price are yet to be announced, but I can't flipping wait.